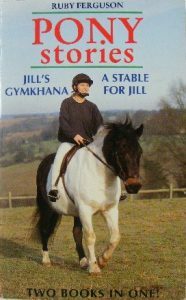 The first of the Jill books, in which Jill gets her pony, Black Boy, and learns to ride. And how to cope with life as a pony-owner. 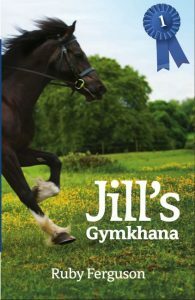 Jill’s Gymkhana is the first of the Jill books. 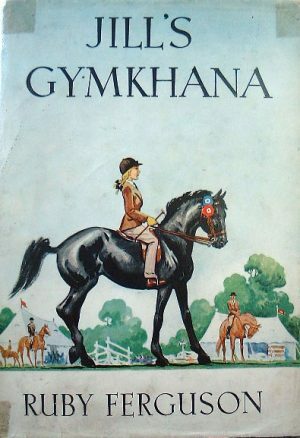 Published in 1949, it was illustrated by Caney and published by Hodder and Stoughton. 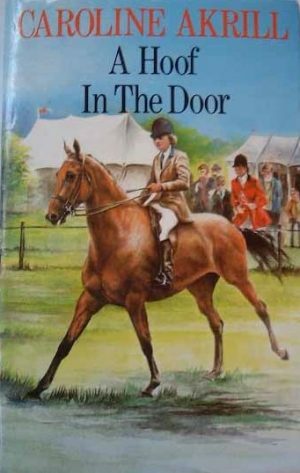 Jill Crewe is eleven, and she and her mother have just moved to Pool Cottage, Chatton. 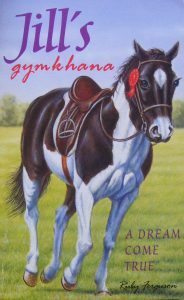 Jill’s father has died, and her mother supports them by writing whimsical children’s books (The Little House of Smiles is the first to be mentioned). 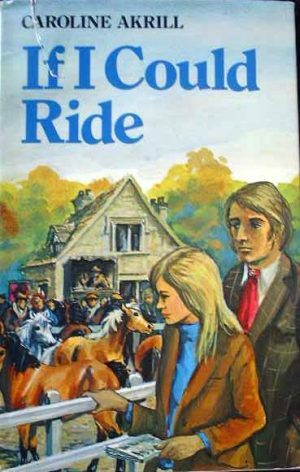 It is the summer holidays, and having just moved, Jill doesn’t have a great deal to do, so makes friends with a pony down the road. 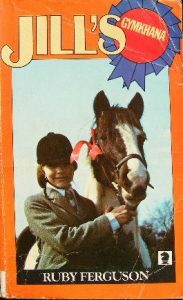 This is Black Boy, and after Mrs Crewe sells the serial rights of The Little House of Smiles, Jill buys him. 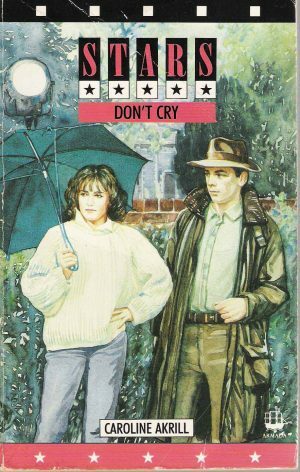 At first Jill is completely clueless, unlike the initial hero figure of the book, Susan Pyke, but she meets Martin Lowe at a local show, and he sorts her out. Jill learns to groom, and to tack up Black Boy without mangling both the bridle and her pony. 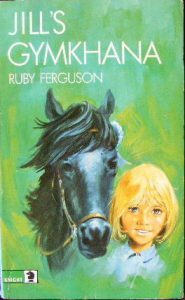 At school, Jill meets Ann Derry and at last finds a horsey friend. Susan Pyke rapidly falls off her pedestal, as she is bought vastly expensive ponies with which she cannot cope. 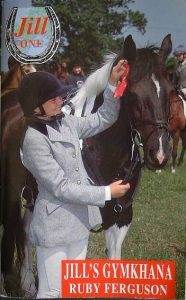 Jill stays with the Lowe family, who petrify her (though it later turns out she has them equally scared), goes on a riding weekend, and finishes up by taking three firsts, three seconds and a third at Chatton Show, and dropping the ebony base of the Challenge Cup at the steward’s feet. 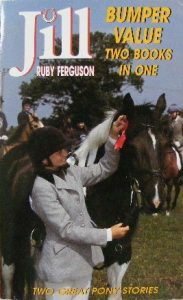 Ruby Ferguson (1899–1966) wrote the Jill books, which have remained in print longer than any other pony series, only going out of print for a brief period in the first years of this century, when they were picked up by Fidra, who have republished most of the series. 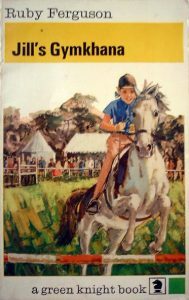 Although the first Jill book appeared in 1949, they are still popular today, because Jill herself is such a wonderfully vivid character. 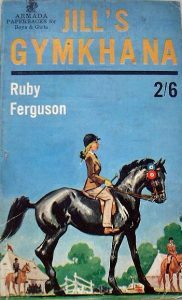 Ruby Ferguson observed children, and particularly horsy children, brilliantly. 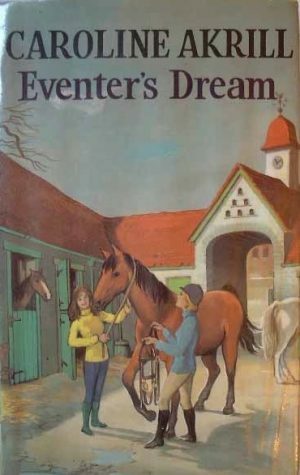 The Jill sitting in a beautiful dream oblivious to all as she jumps round Harringay in her mind, or sending the coffee pot flying by resting a letter on it; or dreading the visit of her much cleaner, much better behaved Cousin Cecilia, is entirely believable. As well as a page for each individual title, there are pages for each different edition. 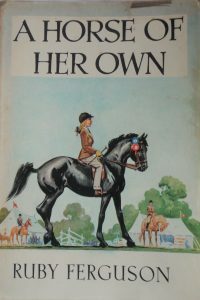 The pages for the individual titles include a short synopsis, a note on abridgements, and photographs of the different editions for that title. I’ve added in some Jill articles as well, and there are now pages on some of Jill’s illustrators, as well as pages detailing the full list of abridgements Knight made. [Note - these aren't yet available on the new version of my site, but they will be]. 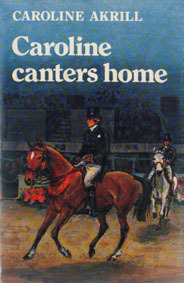 You will see that I don’t have photographs of absolutely every edition, so if you can help, please feel free to email me. 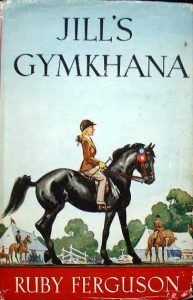 Yes, Black Boy's name was changed in one reprint, but it was one single, solitary reprint out of over 100. In the Knight 1968 printing of Jill's Gymkhana, Black Boy became Danny Boy. 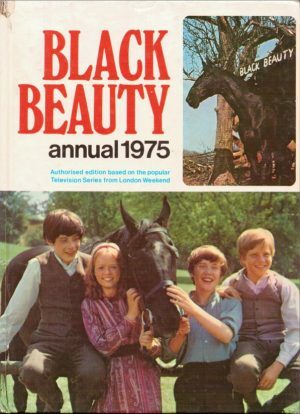 He went back to being Black Boy in the 1968 A Stable for Jill, and has remained Black Boy in every single edition since. As for why the change happened, I do not know. 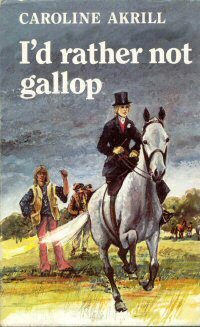 Perhaps it was an early example of political correctness. Perhaps an editor preferred the name Danny Boy. Perhaps it was simply a mistake, corrected in the next title. Many thanks to Birte Scheel, John Rees, Alison Rushby, Vanessa Robertson, Dawn Harrison, Diane Janes, Kayt, and Claire Noble for providing cover shots I didn’t have; and particular thanks to Hazelhunter and Birte for their sterling work on what’s abridged and where. Thanks to Tracy Goodson for detective work on the USA printing, and to Matilda Lawless and Roy Clarke for cover shots. Jill now has her own Facebook group. 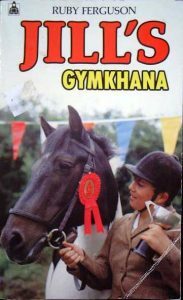 A quiz on the Jill books.